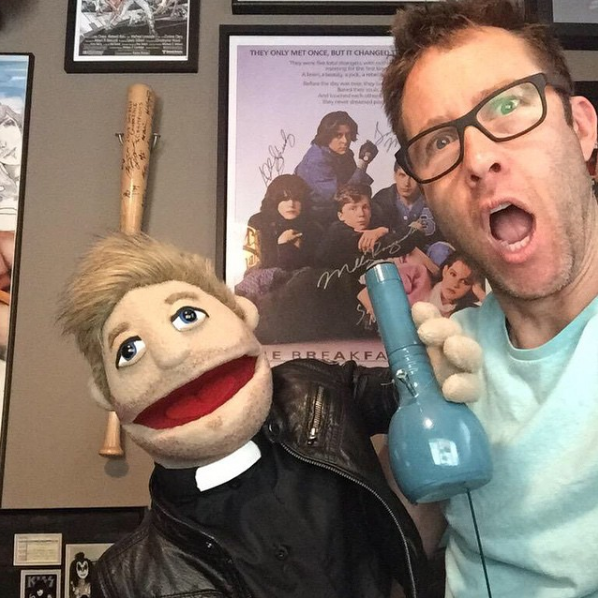 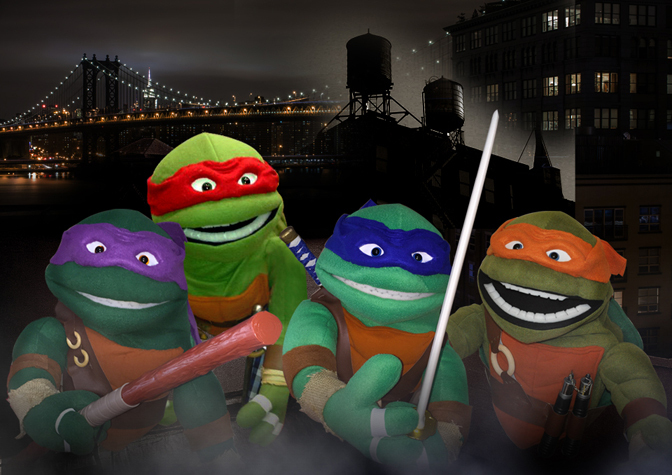 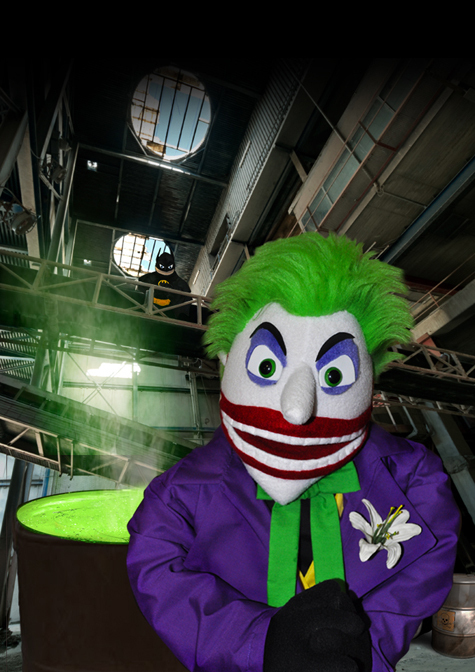 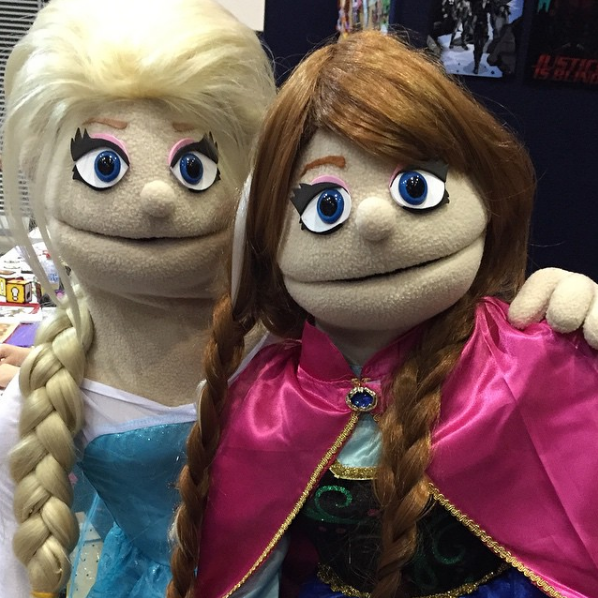 You like Puppets!?? 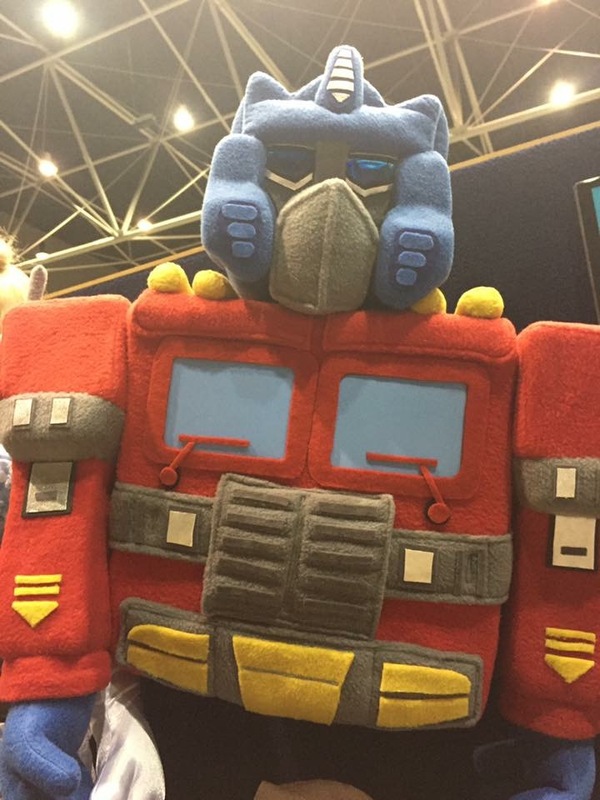 You're in the right spot!! 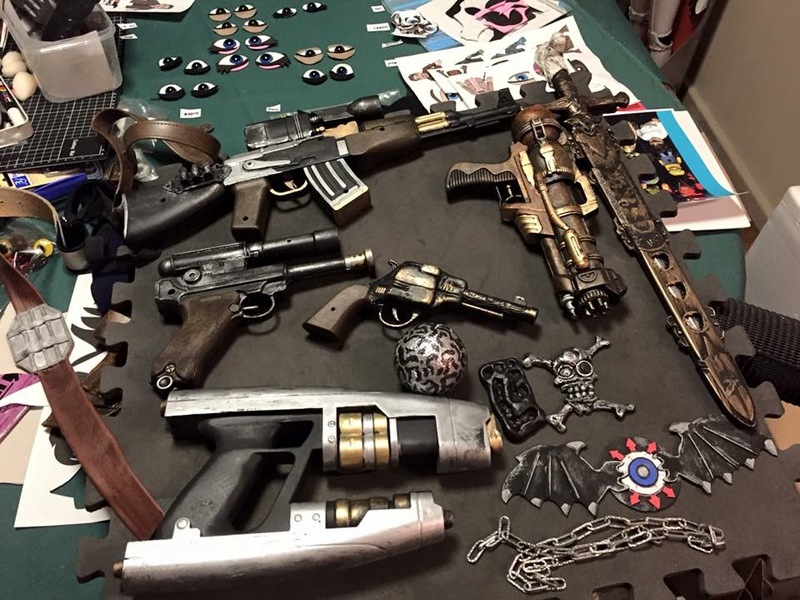 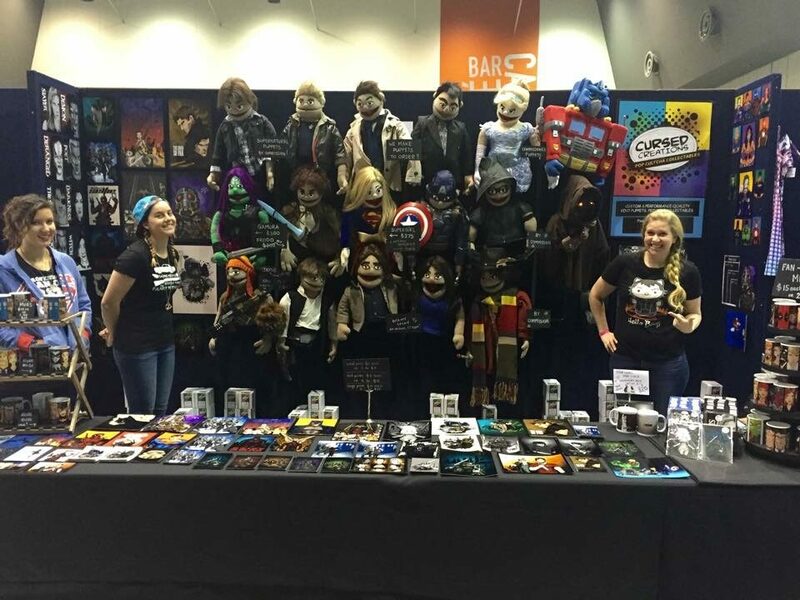 Cursed Creations is a local Perth design duo comprised of husband & wife team, Kirsty and Chris. 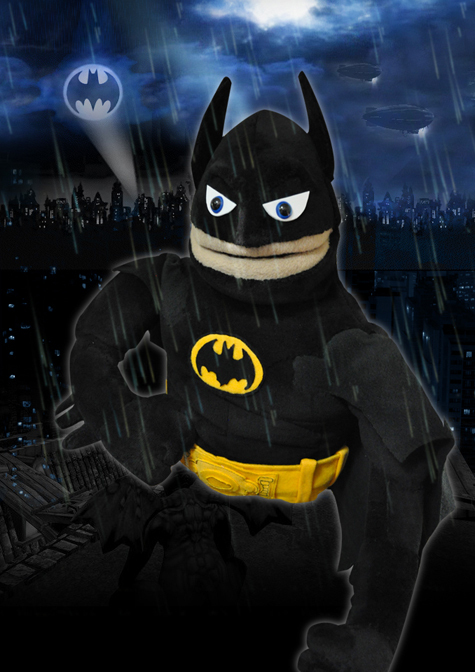 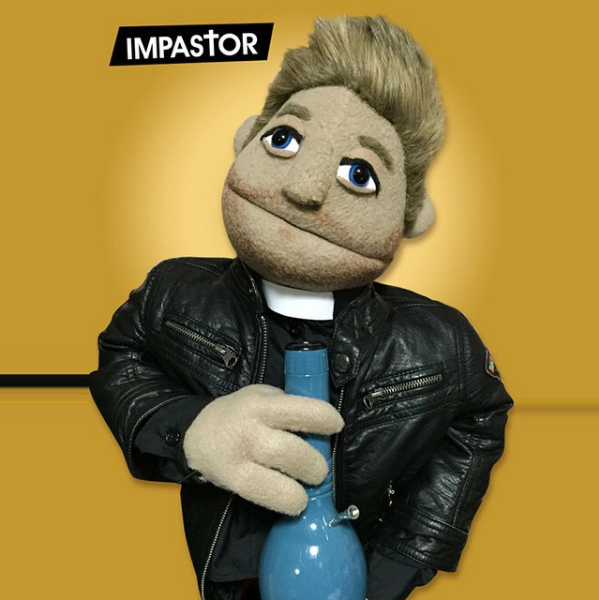 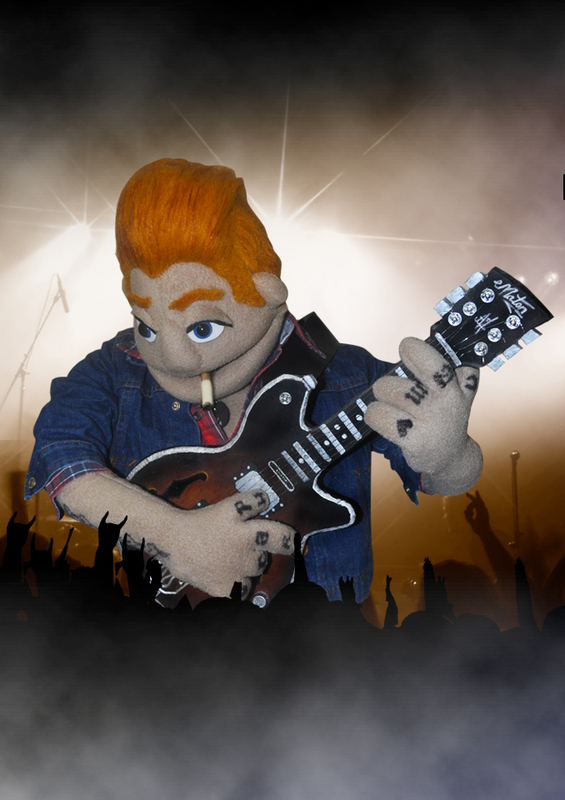 As a hobby they create and sell POP CULTCHA PUPPETS and a very popular range of POP CULTCHA MUGS and PRINTS. 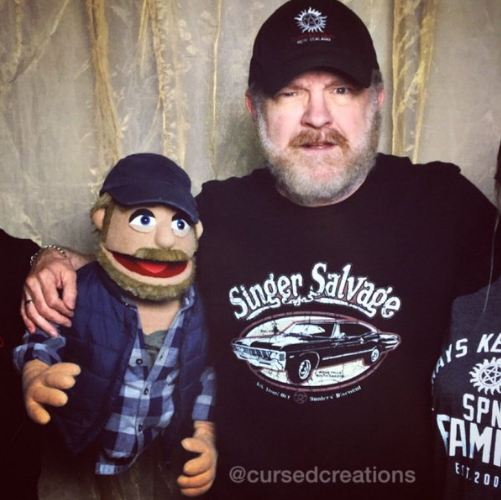 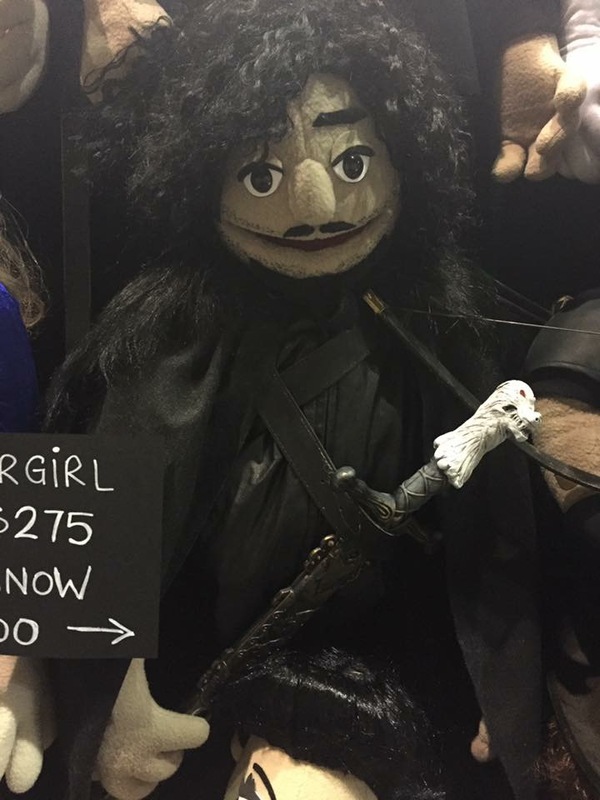 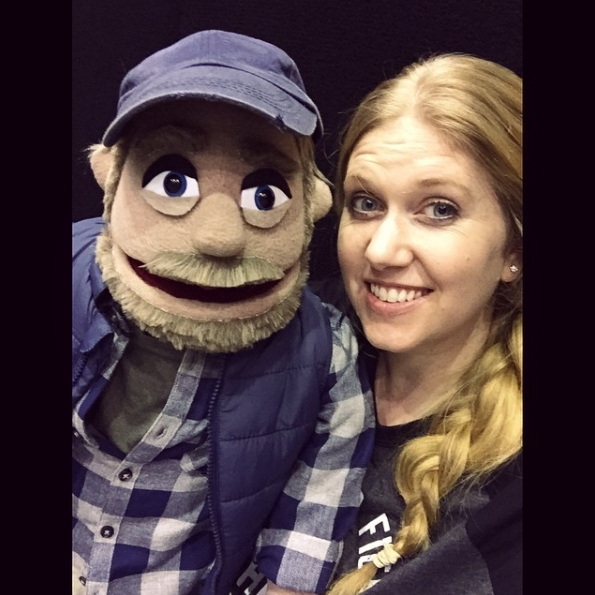 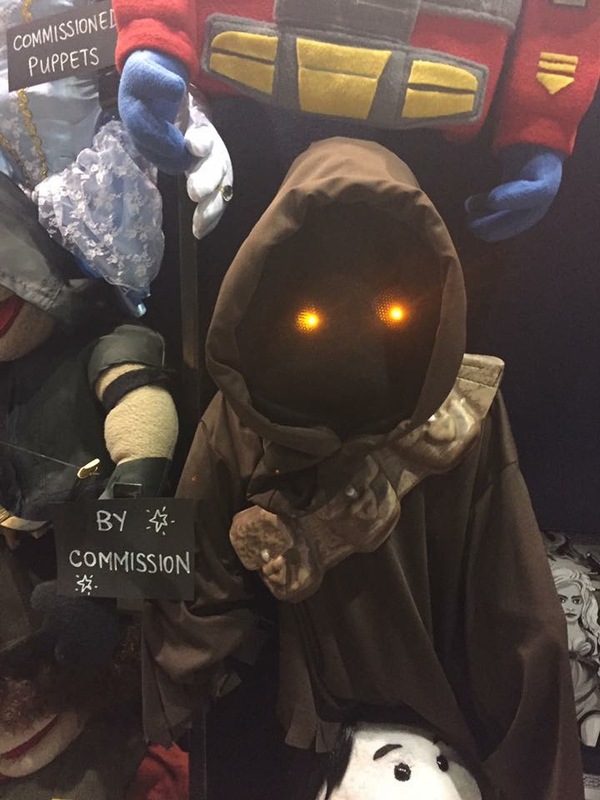 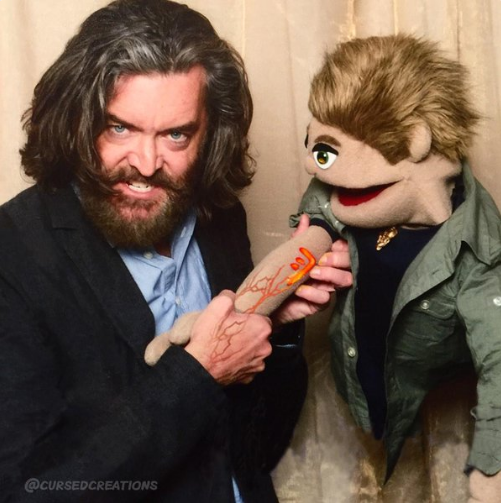 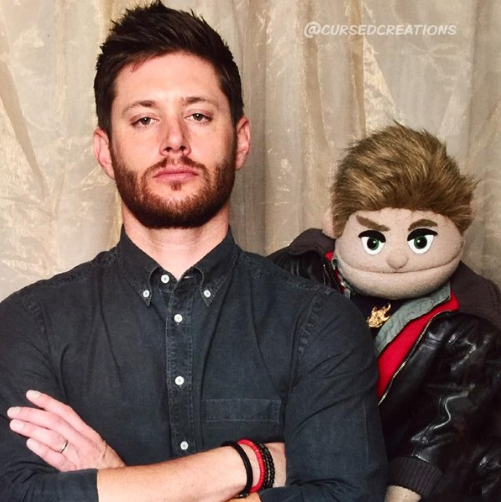 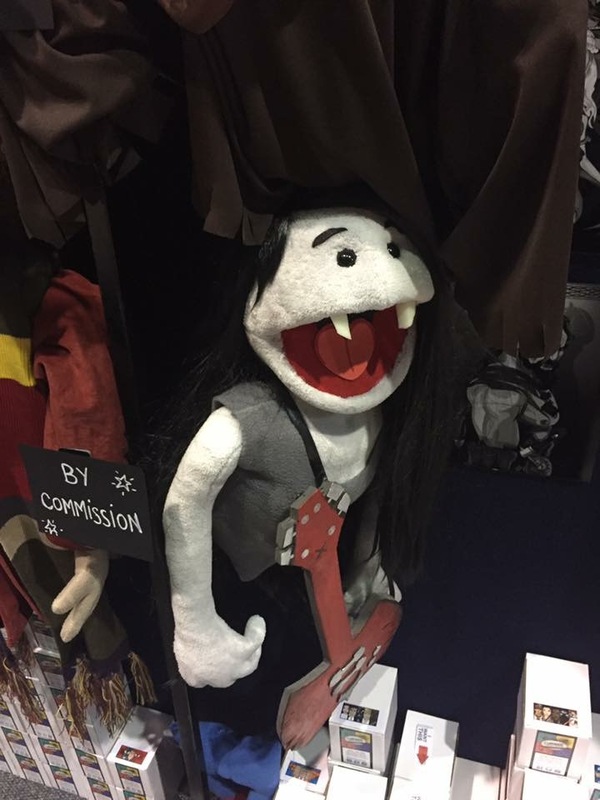 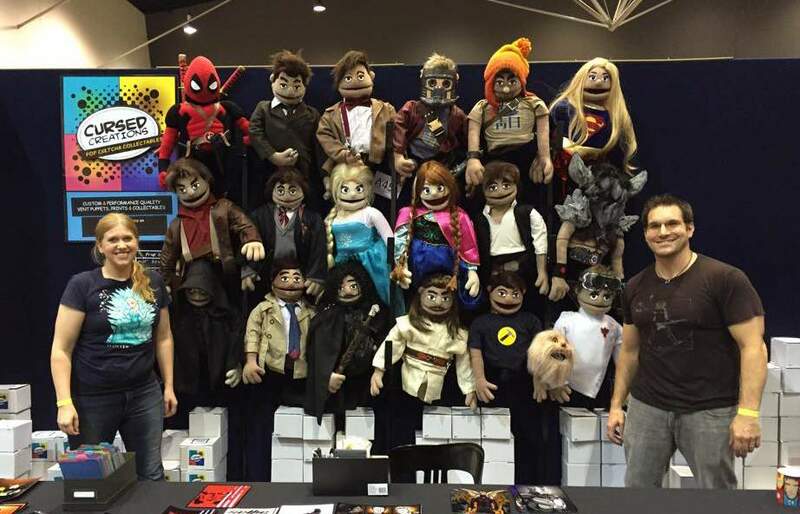 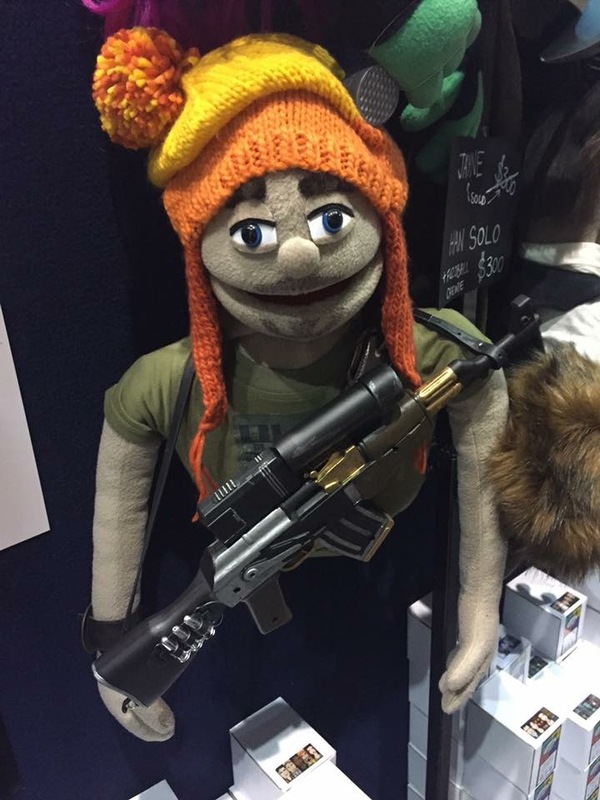 When time permits they love to exhibit at local conventions and take their puppet creations to meet their famous namesakes. 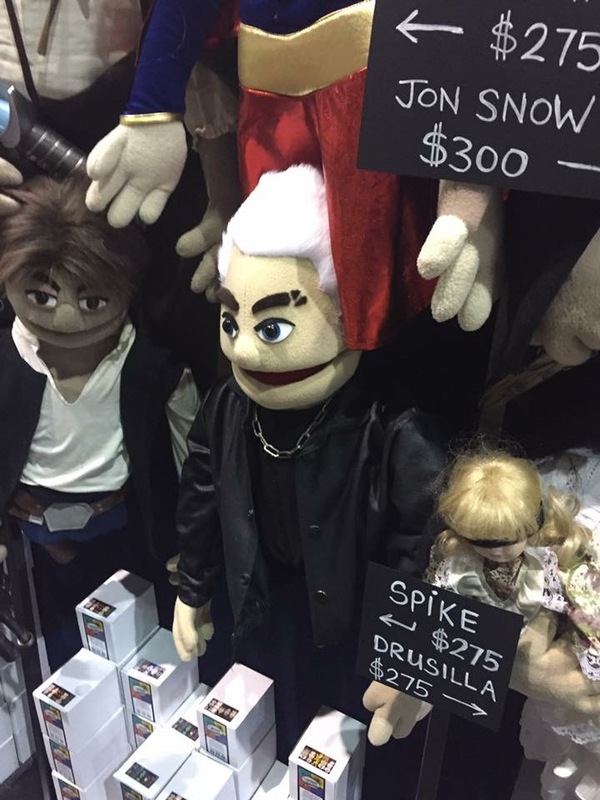 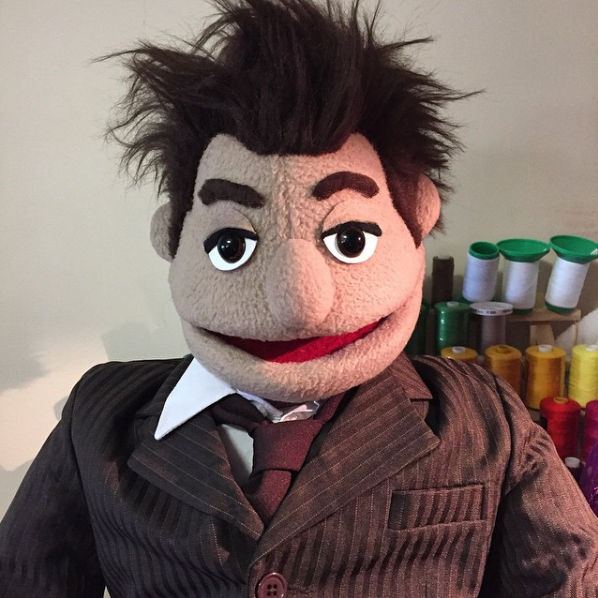 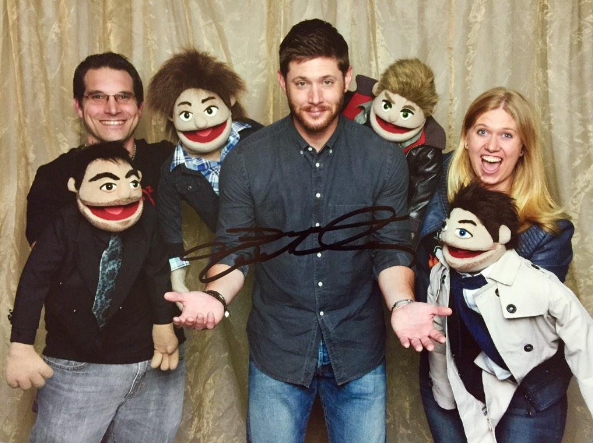 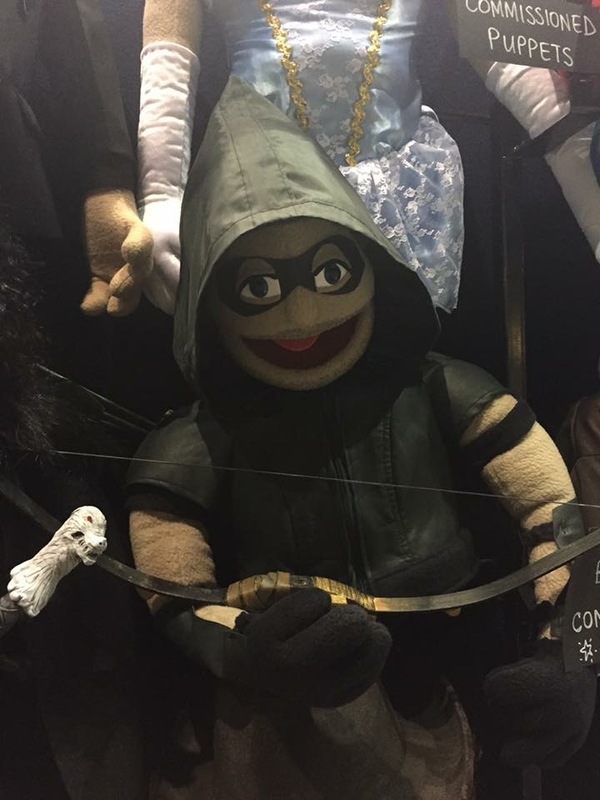 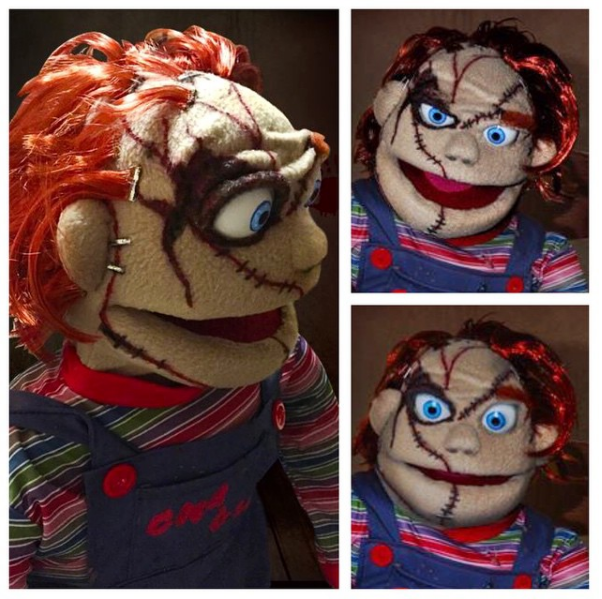 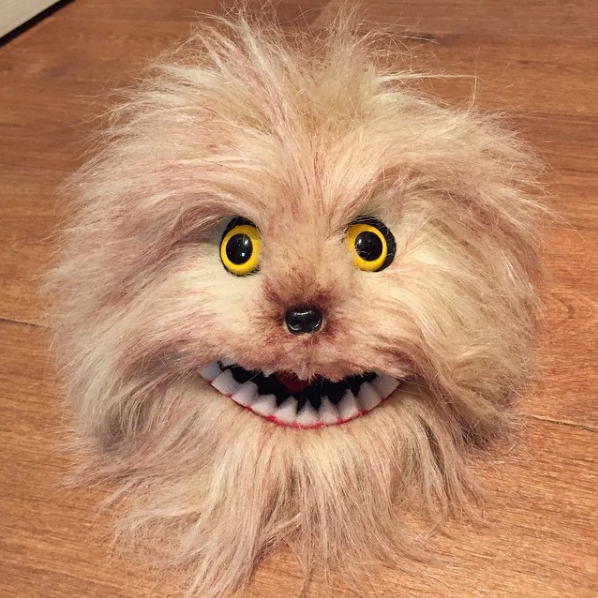 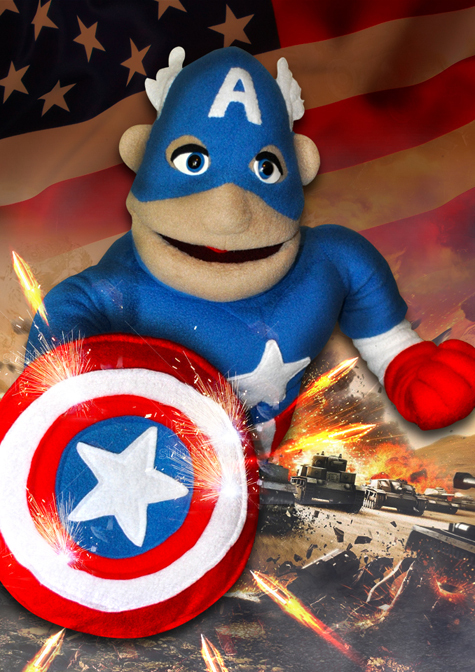 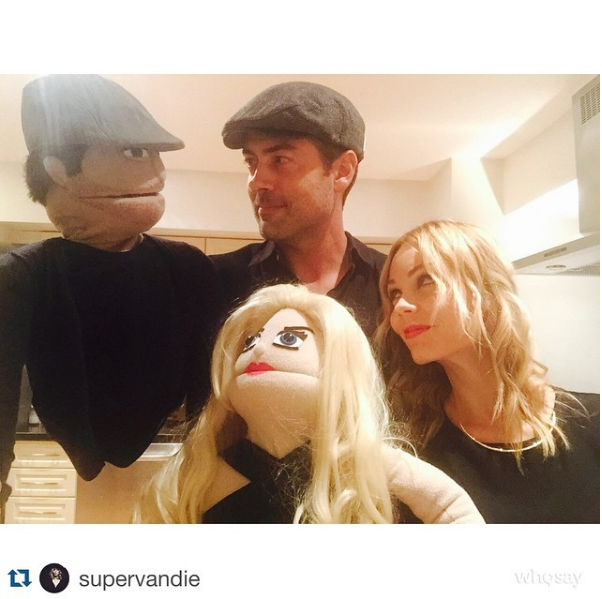 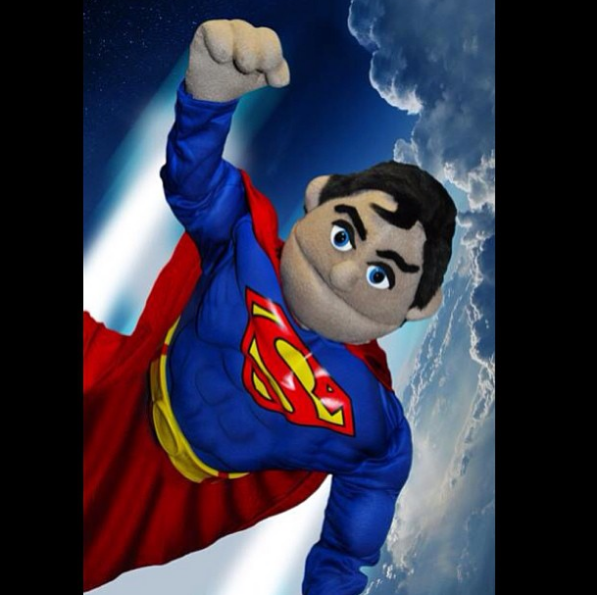 Several puppets have even been commissioned by celebs and are now living out their felt and fur days in Hollywood!! 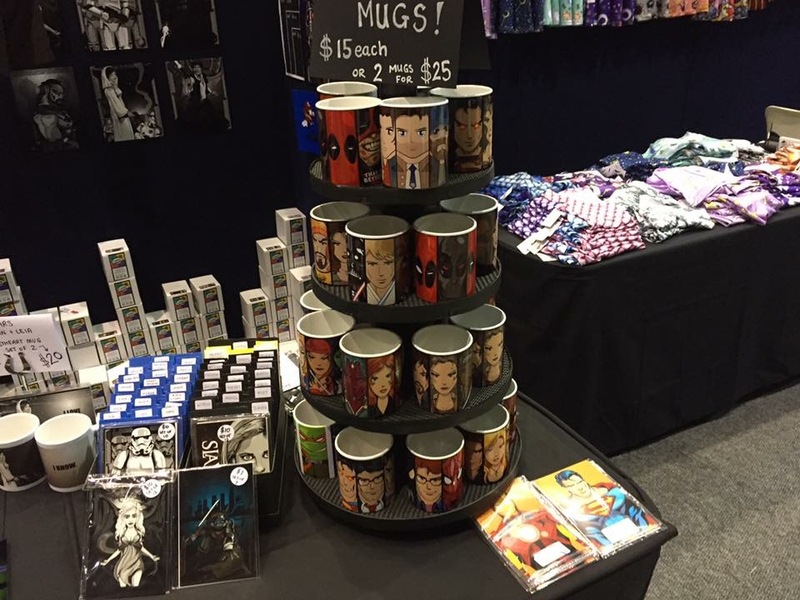 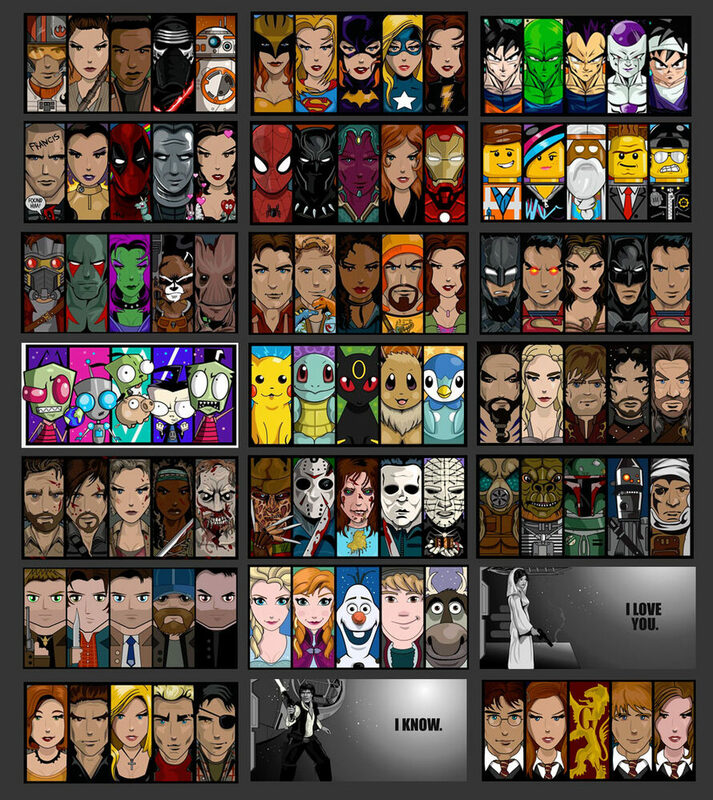 Their unique Pop Cultcha Mugs are made in the home studio and with countless designs to choose from there is something to suit every fan :) All of the artwork is digital and created in Illustrator. 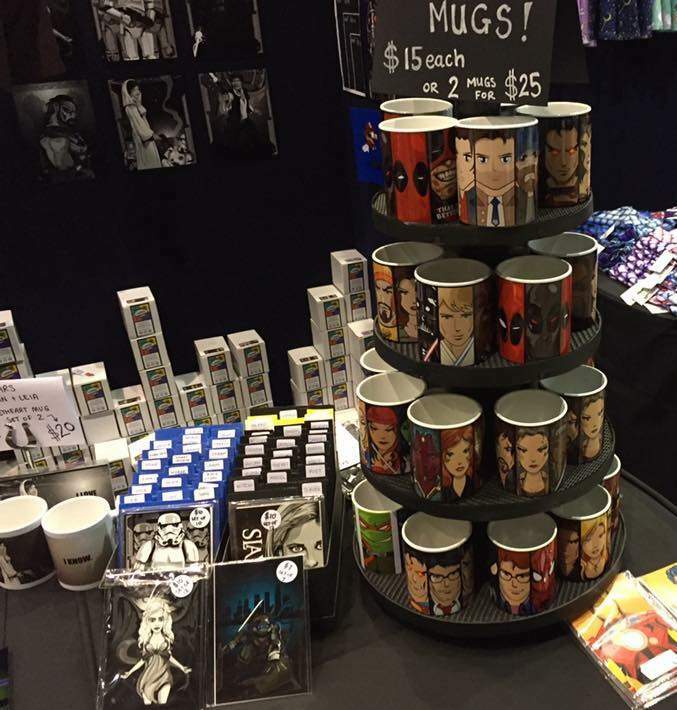 If space permits while exhibiting they also take a selection of Pop Cultcha Prints to sell. 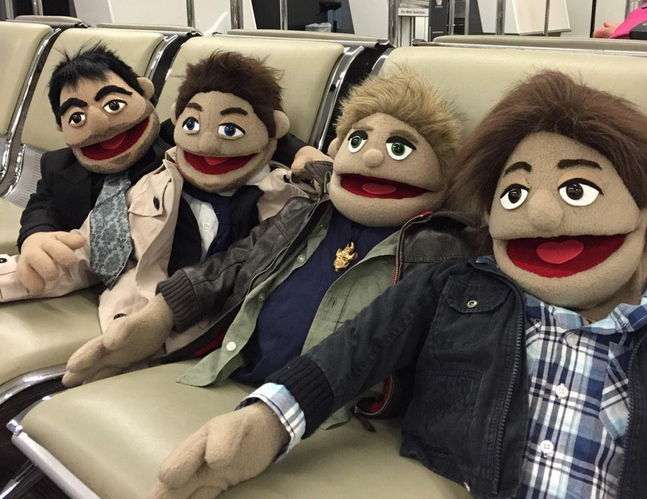 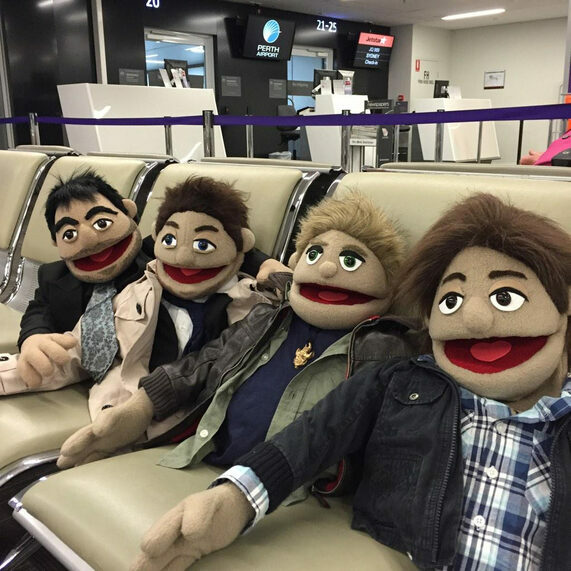 It's the SuperPUPPETnatural crew waiting to board their flight to Sydney Australia! 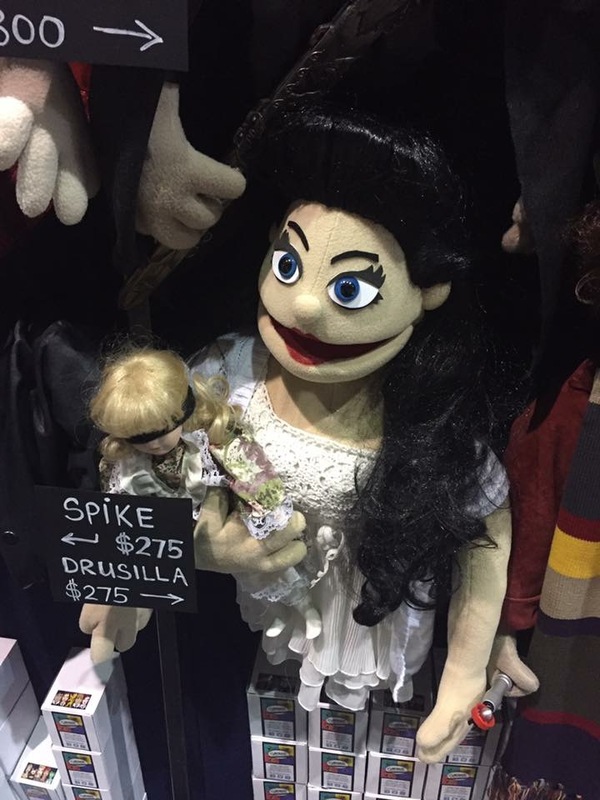 The Freddy Puppet in "Sweet Dreams"
Have you seen our full fanmade video as featured in the "WB- Supernatural TV Special?" 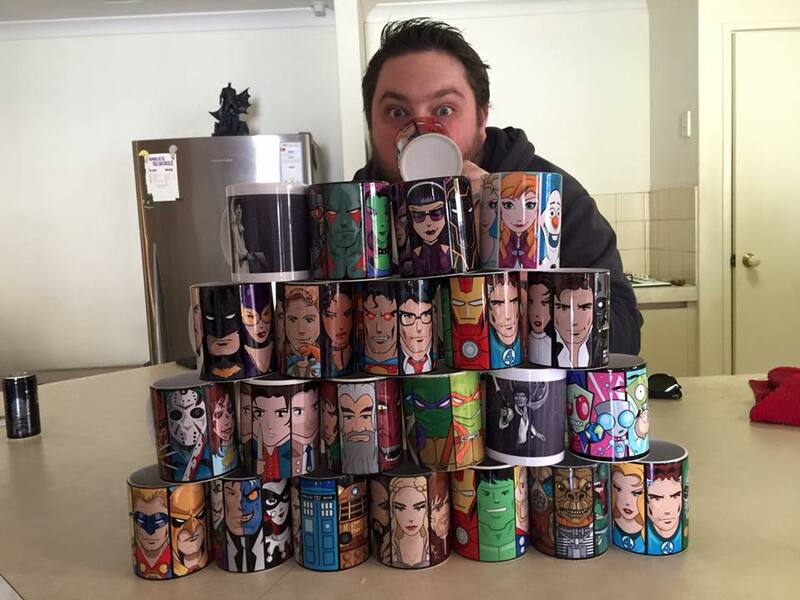 Below: A selection of our fan-art mug designs.